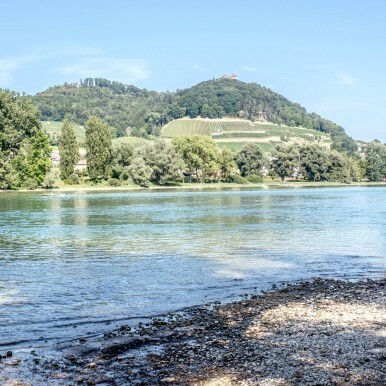 Our modern campsite by the Rhine has 280 pitches available: 40 beautifully laid out pitches for tourists and 240 permanent sites. 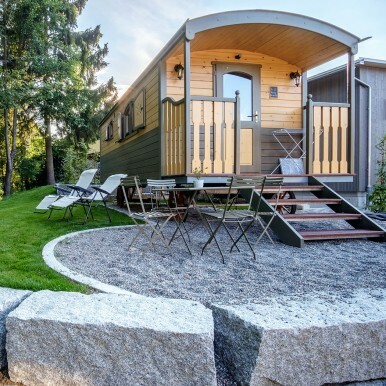 Our circus wagons let you enjoy a romantic and comfortable experience on our camp site at the lake Constance. 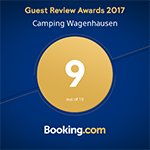 Our modern camp site is located in the canton of Thurgau and lies direclty on the beautiful Rhine and very close to the lake Constance. Our comfortable "Arabian Nights" CocoSweet® tents for hire can each accommodate four people. 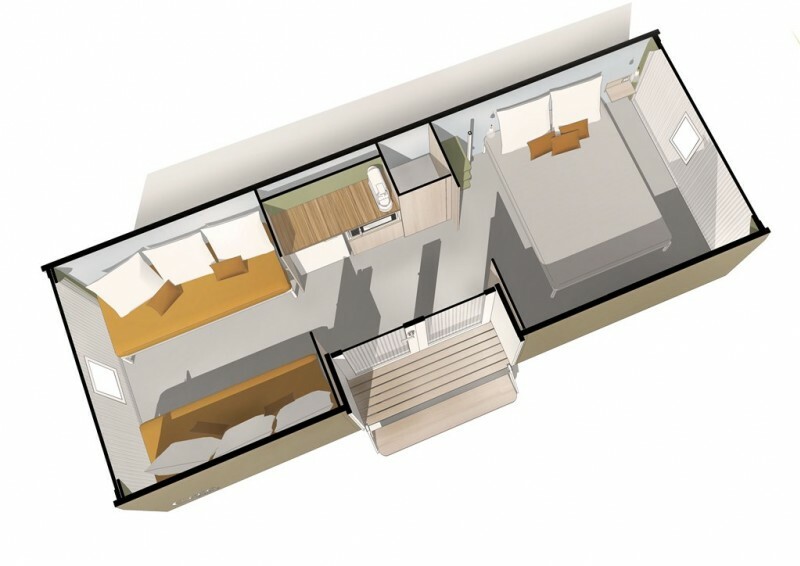 They each have their own covered veranda, one bedroom with double bed (190x140), one room with two single beds (190x70) and a kitchen corner. They have a cold water tap outside. Our modern washroom block with individual showers, toilets and washbasins is just a short walk away. Prices in EUR at the rate of exchange on the day. 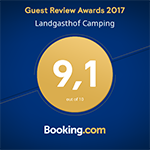 Are you interested in staying with us? We are looking forward to receiving your reservation request. 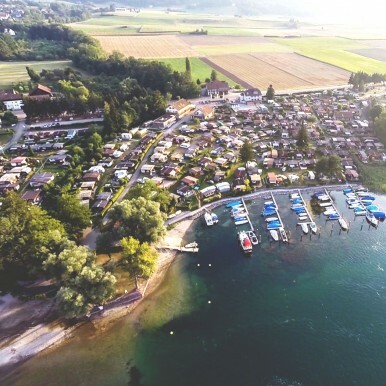 Our camp site is directly located at the Rhine and in the beautiful region of lake Constance. More about the region. If you visite us by foot, car, public transport or bicycle doesn’t matter. How to find us.